CUTE! I love the light fixture - we are discussing putting it in our living room. 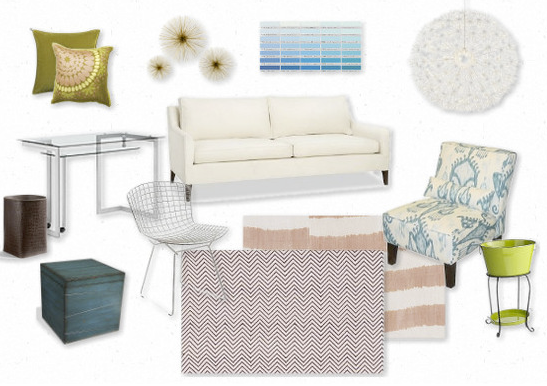 The Slipper chair and white sofa are awesome too...well, really, the whole thing is!